Despite advances in imaging, right-heart catheterization (RHC), also called pulmonary artery catheterization, is the gold standard for the assessment of the pulmonary circulation and the right ventricle in healthy and disease states. RHC is mandatory to establish the diagnosis of pulmonary hypertension (PH), to assess disease severity, and to determine prognosis and response to therapy. 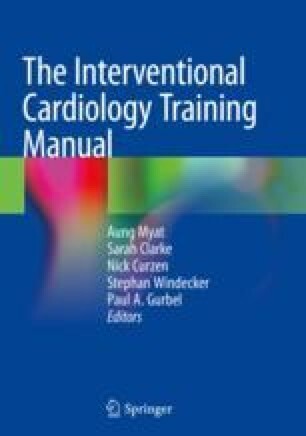 In addition, it remains a critical tool in the assessment of patients who are candidates for heart transplantation and may be considered in various cardiac disorders. Contrary to popular belief, the procedure is rather safe, even in advanced cases. A recent retrospective and prospective multicenter study reported a procedure-related mortality of 0.055% and morbidity of 1.1% in specialized centers of PH. RHC is a technically demanding procedure that requires meticulous attention to detail and accuracy in interpretation to obtain clinically useful information. It must always be integrated in the general assessment of a patient’s condition, which includes the clinical context and imaging, in particular echocardiography. To obtain high-quality results and minimize the risk of complication, physicians appropriately trained in handling and interpretation of the test should perform the procedure in expert centers.